Off on my Artist•Wilderness•Connection adventure! 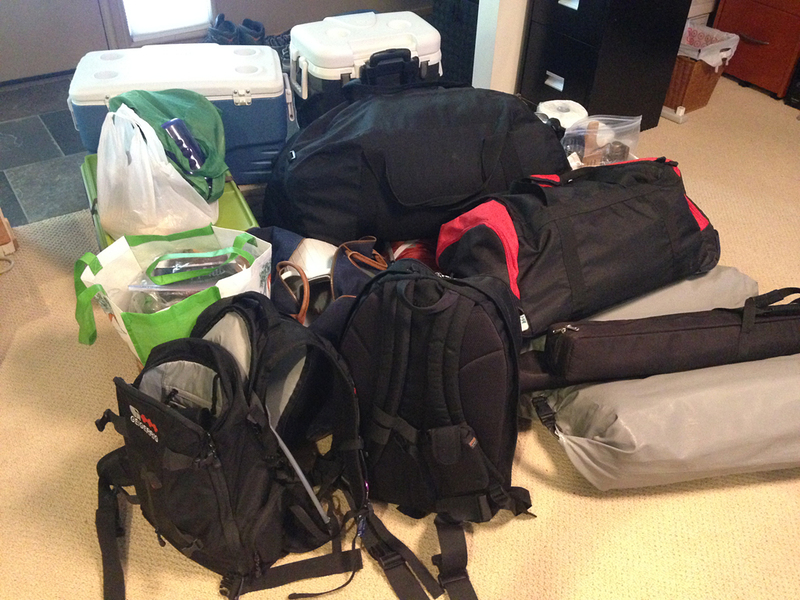 How much gear does it take to go into a remote area and paint for 11 days?? A lot…along with a great deal of planning and preparation. 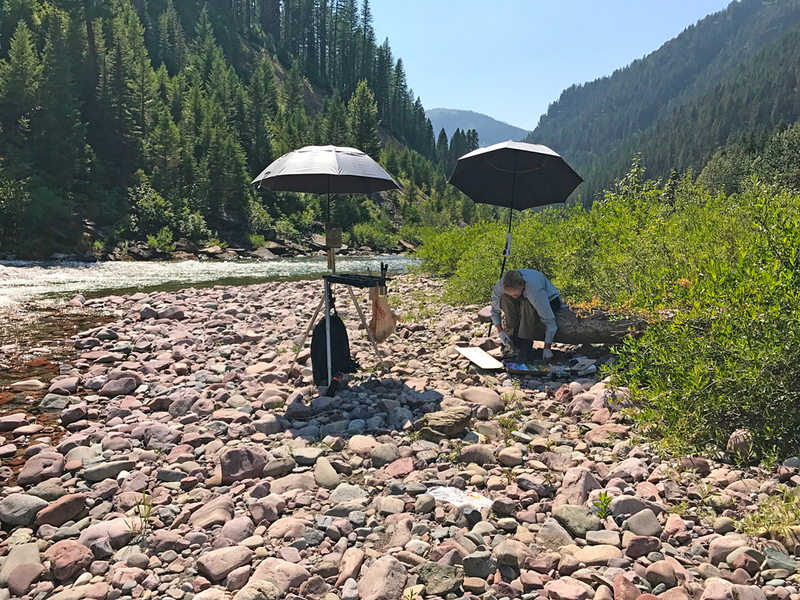 My partner, Gini Ogle, and I were selected from a number of applicants to participate in the Artist•Wilderness•Connection. 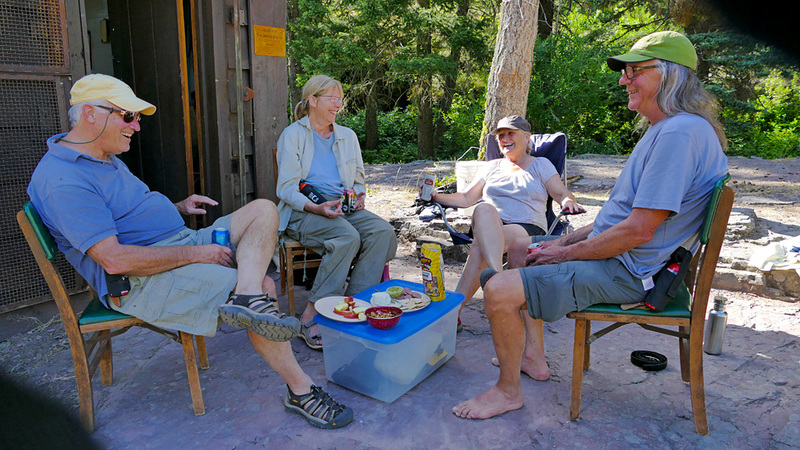 This very cool program is sponsored by the Bob Marshall Wilderness Foundation, the Flathead National Forest, and the Hockaday Museum of Art in Kalispell. 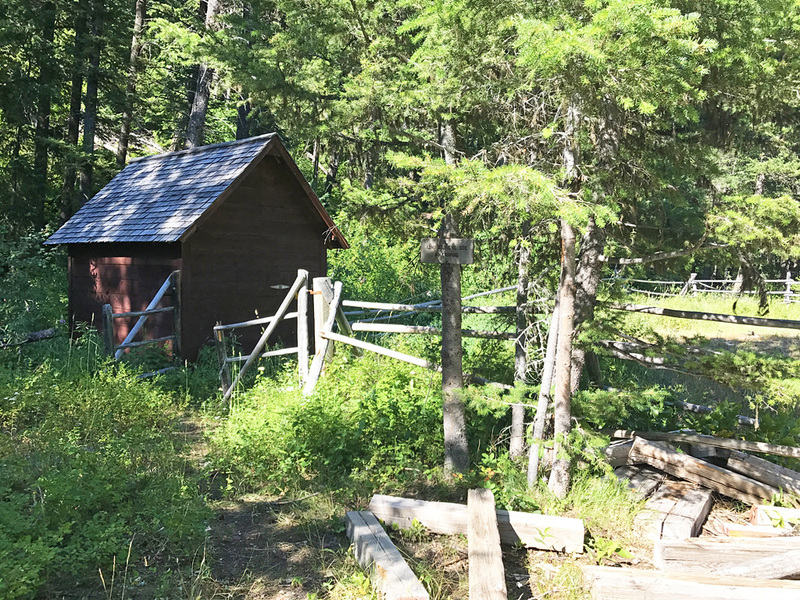 An artist or a partnership of artists is chosen to participate by being provided a Forest Service cabin for the artist to live in while they pursue their field of study uninterrupted by daily distractions, technology, or people. Gini and I have been preparing for this trip for several months. Most recently, we have been making lists, planning meals, dividing up chores, packing art supplies, shopping and cooking. And thank goodness, we’re almost ready. All that is left to do is pack all the gear into bags and boxes that will be loaded on to horses to be packed into our destination. Special thanks go to our packers who do this as volunteers. Taking us in are Matt Farwell and 4 of his horses. Packing us out are Bob and Sue Padelford and their 3 horses/mules. Gini and I will hike the 7 miles in with just day packs. We’ve been told we will have to ford a couple of streams…yikes! 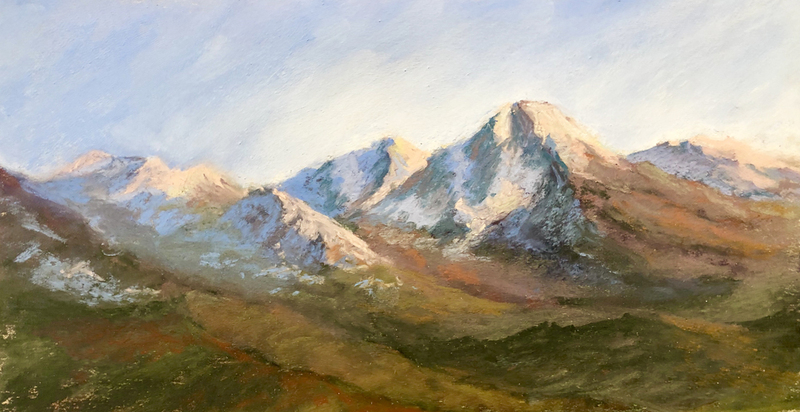 We will be painting in the Great Bear Wilderness (part of the Bob Marshall Wilderness Complex) at Granite Cabin. We have a stream (more likely a river at this time of year) nearby for our survival needs and probably for our entertainment. The weather is forecast to be hot so I’ll be using the stream to cool off. I’m hoping we don’t have much inclement weather so that we can take advantage of as many days outdoors painting as possible. Stay tuned for stories to come when we return.